I’ve been using Wrike for a few years now. 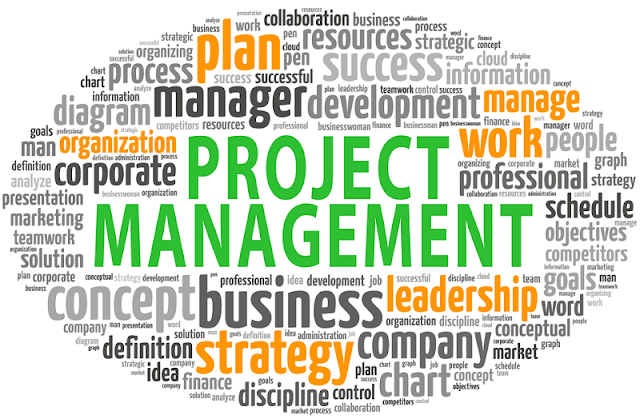 As a manager in a PR and Events agency, I have found it to be indispensable in effectively keeping me on my toes when it comes to project management, task management and monitoring the progress of my employees. Our entire office has been using Wrike and it has saved us loads of time: instead of constantly having to send bulky emails with documentation and other attachments, we can simply refer one another to “the cloud” and continue with our work. It’s actually quite cool! A few weeks’ ago, I discovered that there was a Wrike Extension for Chrome which enables users to create tasks from any webpage. Since we are all Android users in our office, I decided to be the guinea pig for a potential mass download and, suffice it to say, I was incredibly impressed! If my previous experience with Wrike’s online tools for project management was anything to go by, I didn’t think it could get any better than it currently was, but I was mistaken. The extension enables me to be anywhere on the web and have direct access to our project management software, whether that is to be check on files or quickly communicate with members of my team. 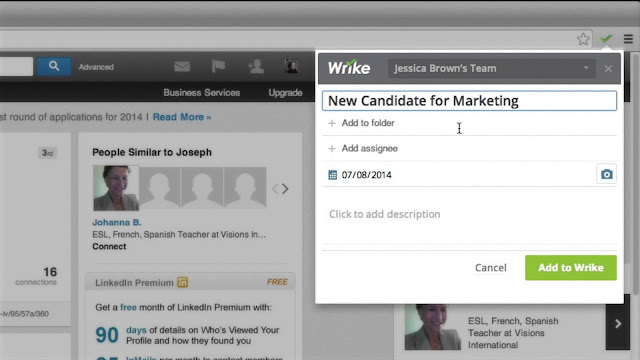 In our industry, we are always on the lookout for new contacts, and I was pleasantly surprised to find out that one of the many features of the nifty Wrike Extension for Chrome allows you to add a LinkedIn connection as a task in Wrike! When I browse LinkedIn, my Wrike extension now notifies me whenever a particular person I come across is already in our system – life saver! Another benefit of the Wrike Chrome extension: adding inspiring articles and ideas I come across on the web to Wrike. I love brainstorming ideas but the horrible part is writing them down, translating these ideas into tasks, and assigning them to people. It’s just so time-consuming! With the Wrike Extension for Chrome, I’m now able to turn a webpage into a task, add details or instructions, attach a screenshot, and assign it to one of my employees. Now I can brainstorm away to my heart’s content and no longer have to worry about the follow-up. If you already use Wrike to manage your work and are happy with it (why wouldn’t you be? ), take your happiness to the next level by downloading the Wrike Extension for Chrome. And if you don’t use Wrike, check it out for yourself by starting a free trial. You won’t be disappointed! If you have any experience with Wrike yourself and have any tips or advice, don’t forget to leave a comment!